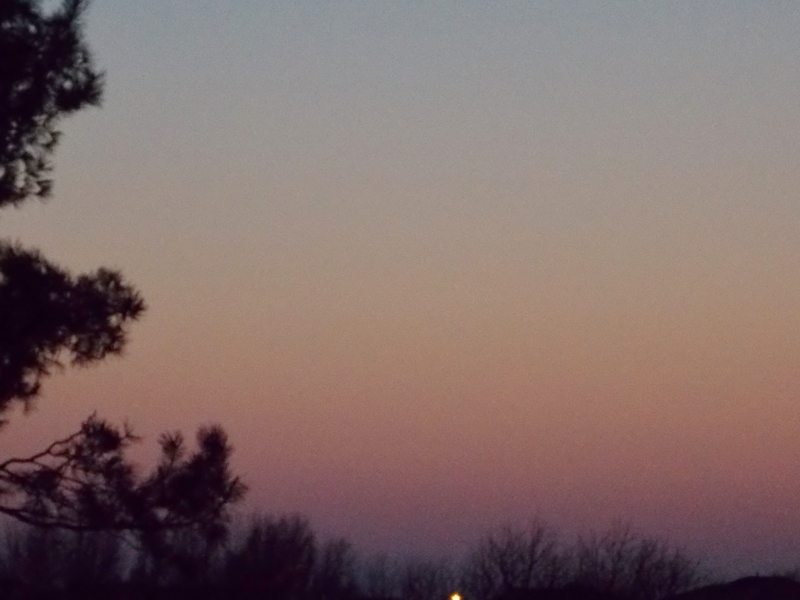 The sunsets are teaching me more about color ~ this is the eastern sky 3/7/14. The colors of deep blue at the bottom topped with a luscious pink were too beautiful. The blue is at the top and the reds at the bottom in this rainbow gradient from my previous picture…. 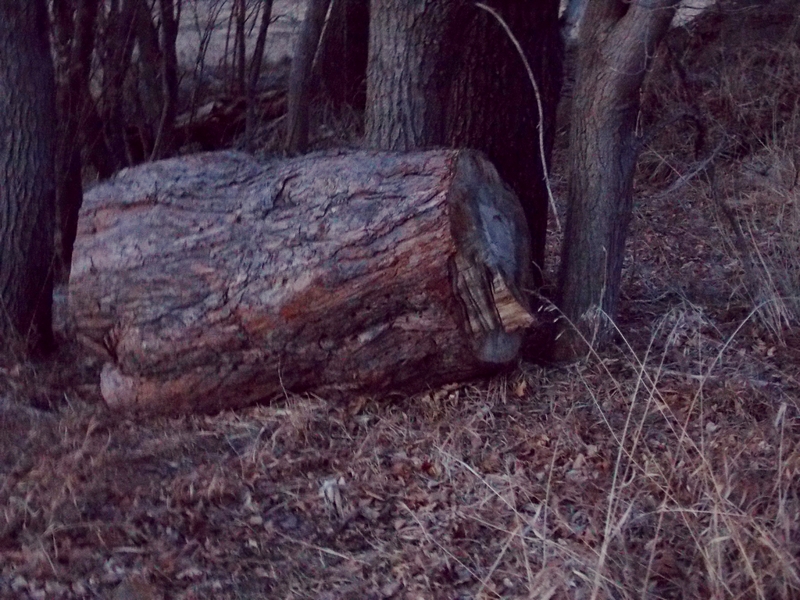 The red light from the west caught this log and gave it a special “petrified” look. 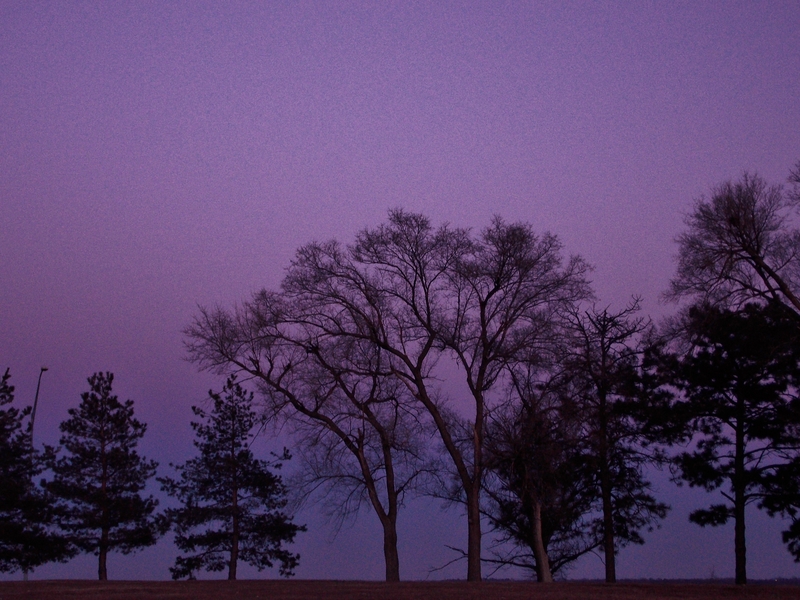 This tree caught the last rays of light over the horizon. 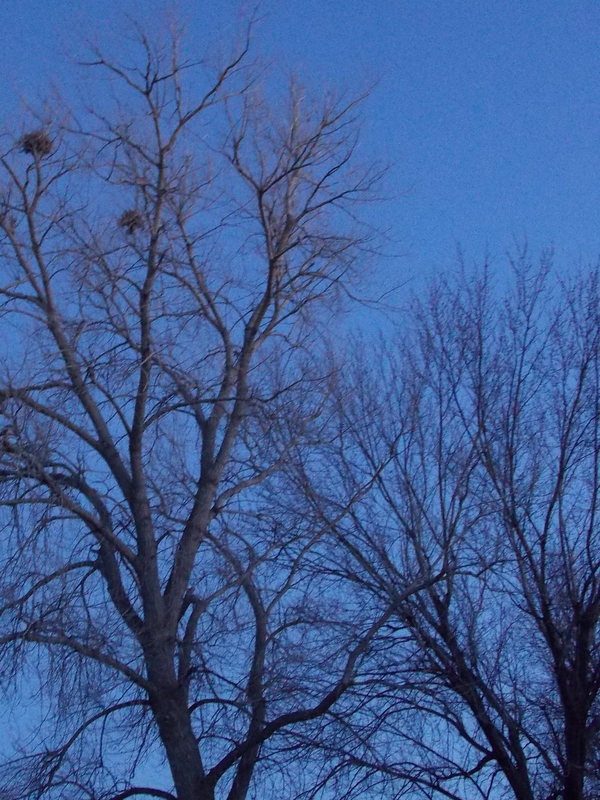 The limbs at the top are light, and the lower ones are in darkness.